Getting a tattoo might be the closest you ever come to actually wearing your emotions on your sleeve. Whether it’s a heart or a skull, each design tells a story, represents a unique perspective, and captures the imagination of the onlooker. While some tattoos have deliberate meanings, others take on new meaning with time. 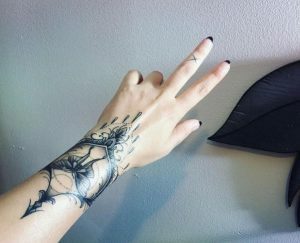 We wanted to learn more about the emotional process behind getting a tattoo, so we asked people all over the world about their personal stories. We also explored how they felt about their tattoos months and years later down the road. Below, you’ll find a collection of personal accounts, which tell compelling stories about tattoos and fate. Read on, and you may be surprised by how tattoos have impacted people’s lives. Emily’s tattoos help her to build positive social connections. She has two speech bubble tattoos, one with a heart in it, and the other with 3 exclamation points. These designs remind her to treat people well, and give them the benefit of the doubt when communicating with them. Q: What finally motivated you to get a tattoo? A: “ Art. Your body is a blank canvas to showcase your life and your loves, and I enjoy that freedom of artistic expression.” Q: What are the meanings behind your tattoos? A: “The Thought Bubble with the Heart in it [is] to remember to always think with my heart first in all things, when dealing with ALL people. The Speech Bubble with Exclamation Marks [is related to my] social anxiety. I often think people are angry with me. Since tone is hard to tell in letters, text and email, my mom and soon my friends [always use] three exclamation points so I know they are not mad. 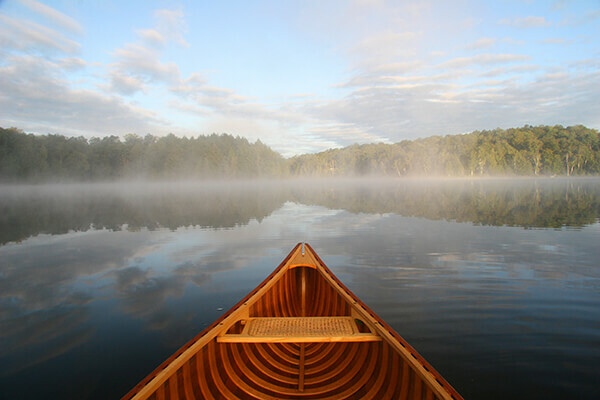 It has helped tremendously!" 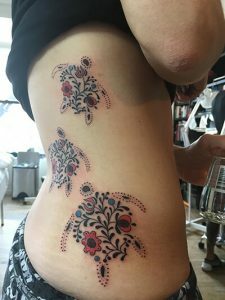 Gisela’s lotus flower tattoo represents her long, yet successful recovery from a serious eating disorder. The lotus flower often symbolizes a spiritual awakening, and it also happened to be the logo at the treatment centre where Gisela stayed. 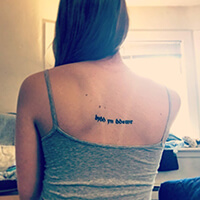 This tattoo reminds her of how far she’s come, and serves as an uplifting message when she feels weak. Q: Is there a special story behind your tattoo design? A: “I am a Registered Dietitian Nutritionist, mom, wife, and recovered Eating Disorder patient. The tattoo is a lotus flower on my right foot. I went to inpatient rehab for my eating disorder 6.5 years ago. After 10 weeks inpatient treatment, 12 weeks outpatient, and months of continued therapy, I decided to get a tattoo that symbolized my recovery. I was in Austin TX visiting a friend that I met while in treatment. I knew I wanted something special to remind me of my journey and recovery. We went to a tattoo shop together and she held my hand as the tattoo was being drawn on my foot. At the time it was the worst pain I had ever felt. However, the pain was well worth it. 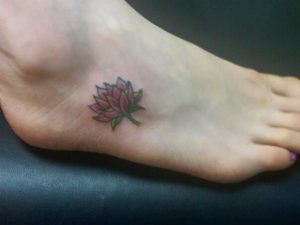 Oliver-Pyatt's [the treatment centre] symbol is the lotus flower, so I knew that was what I wanted. It is a symbol that I will never regret and can always remind me of how far I have come when I am having a difficult day." 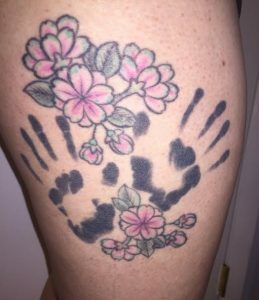 Reading these unique personal accounts, it’s clear that tattoos have the power to transform and guide one’s outlook on life. Whether your design is an important loved one’s saying, like Leigh’s tattoo, or a line of poetry that really resonates with you, like Amelia’s, tattoos can act as a positive influence on your mindset, and help you to remember what you value. Sometimes, tattoo designs represent obstacles overcome or hardship endured, like Gisela’s lotus flower, which reminds her that she survived an extremely challenging period in her life. In many ways, tattoos mark one’s individuality: they represent love for art, meaningful relationships, personal resilience, and much more. If you have any interesting stories to share, let us know about them in the comments section below! Have an idea for a meaningful tattoo, but need some help with the design? We can help. Start your design today by filling out a FREE Custom Tattoo Design Quote.